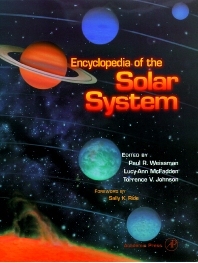 The Encyclopedia of the Solar System provides a series of comprehensive and authoritative articles written by more than 50 eminent planetary and space scientists. Each chapter is self-contained yet linked by cross-references to other related chapters. This beautifully designed book is a must for the library of professional astronomers and amateur star-gazers alike, in fact for anyone who wishes to understand the nature of our solar system. Scientists, teachers, interested laypeople, and students of planetary science, astronomy, astrophysics, planetary geology, meteorology, and atmospheric and magnetospheric sciences. Paul R. Weissman is a Senior Research Scientist at JPL, specializing in comets. He is the author of over 100 scientific papers and 30 popular articles. 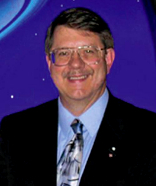 He is also the co-author, with Alan Harris, of a children’s book on the Voyager mission. Dr. Weissman received his doctorate in planetary and space physics from the University of California, Los Angeles. His work includes both theoretical and observational studies of comets, investigating their orbital motion, their physical make-up, and the threat they pose due to possible impacts on the Earth. Dr. Weissman is an Interdisciplinary Scientist on ESA’s Rosetta mission to comet Churyumov-Gerasimenko. Jet Propulsion Laboratory, California Institute of Technology, Pasadena, U.S.A.
Lucy McFadden is a planetary scientist at the University of Maryland. She was the founding director of the College Park Scholars Program, Science, Discovery and the Universe. She has published over 75 articles in refereed journals and has been co-investigator on NASA’s NEAR, Deep Impact and Dawn missions exploring asteroids and comets. She has served on committees on solar system exploration for the National Academy of Sciences, and on the editorial board of Icarus. Torrence V. Johnson is a specialist on icy satellites in the solar system. He has written over 130 publications for scientific journals. He received a Ph.D. in planetary science from the California Institute of Technology and is now the Chief Scientist for Solar System Exploration at the Jet Propulsion Laboratory. He was the Project Scientist for the Galileo mission and is currently an investigator on the Cassini mission. He is the recipient of two NASA Exceptional Scientific Achievement Medals and the NASA Outstanding Leadership Medal and has an honorary doctorate from the University of Padua, where Galileo made his first observations of the solar system.